The Chemical Weapons Attack is being used as a “False Flag”, a pretext and a justification to wage an illegal war of aggression. The UN report refutes Washington’s allegations that the government of Bashar al Assad was using chemical weapons against his own people. 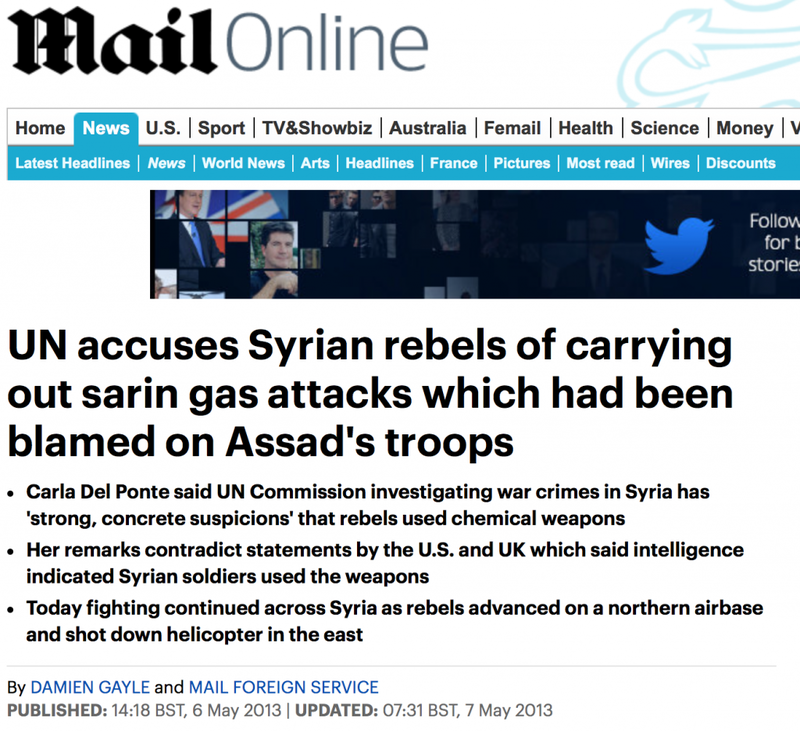 What the UN mission findings confirm is that the US sponsored opposition “rebels” largely composed of Al Qaeda affiliated groups, financed and supported by the Western military alliance were responsible for these 2013 chemical weapons attacks. Moreover, as confirmed in an earlier report, the Al Qaeda rebels were being trained in the use of chemical weapons by specialists on contract to the Pentagon. Washington (which supports the opposition rebels in the use of chemical weapons) rather than Damascus is responsible for extensive crimes against humanity. Last night, the UN commission looking into allegations of war crimes in Syria tried to row back on the comments by its human rights investigator, pointing out that conclusive evidence had not been discovered. Sarin has been classed as a weapon of mass destruction due to its potency and is banned under international law. 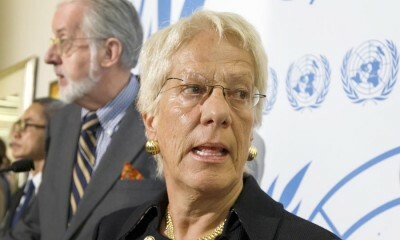 The comments by Ms Del Ponte, a member of the U.N. panel probing alleged war crimes in Syria, contradict claims by Britain and the U.S. that intelligence reports showed Syrian soldiers had used chemical weapons.